Oh My Haunt Season Gosh! Are You a Fan of Stranger Things?! Yes!! 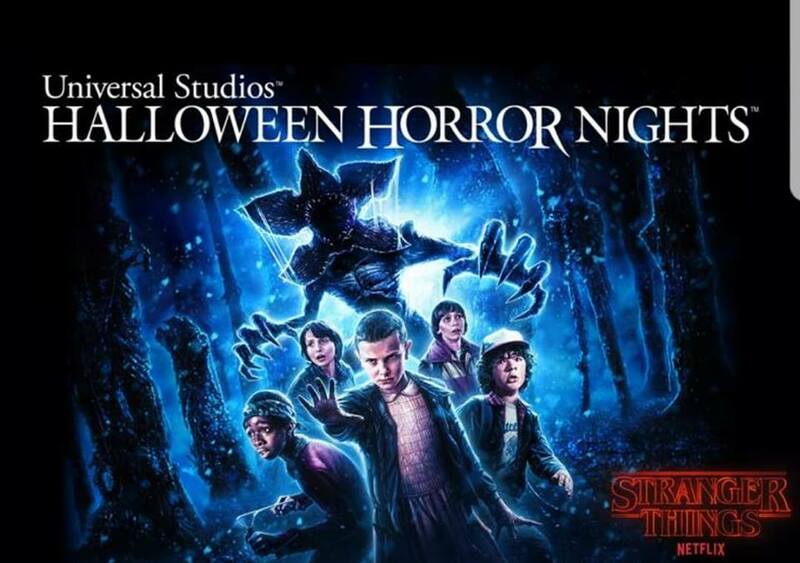 A “Stranger Things” maze coming to Universal Studios Hollywood’s Halloween Horror Nights!! Hot off the press... this first look image created by the official illustrator, Kyle Lambert, of the series brings the fear to life and reality that HHN is under a month away! I LOVE FALL - It brings the best of haunts to us. Look at the insanely creepy image of the guests terrified, fleeing the scene, the stranger things scene! I don't know about you but I love all things Haunt season. I have never been to HHN but each year I follow along with the updates and scare news leading up tot he opening day of haunt season. This year there are some new scares to keep you on your toes! "Things are about to get turned upside down at Universal Studios’ Halloween Horror Nights’ with the first look reveal of the “Stranger Things” maze key art designed exclusively by Kyle Lambert, the official illustrator of the mega-hit Netflix original series. Working collaboratively with Netflix, along with the creators and executive producer of the blockbuster series—Matt Duffer, Ross Duffer and Shawn Levy, the mazes will be authentic representations of “Stranger Things,” designed to transport guests into artfully recreated scenes and storylines. From the menacing Hawkins National Laboratory, under the U.S. Department of Energy, to the Byers home adorned with an erratic display of flashing Christmas lights and the eerie Upside Down woods oozing a shower of floating orb-like spores, the chilling new mazes will offer surprising twists and unexpected turns around every corner." I have been told that the front of line passes or vip access are the way to go by many people so I would have to suggest that based on others feedback. For more than 25 years, guests from around the world have visited “Halloween Horror Nights” to become victims inside their own horror film. Multiple movie-quality mazes based on iconic horror television shows, films and original stories come to life season after season, while the streets of each park’s event are transformed into highly-themed scare zones with menacing scare-actors lunging from every darkened corner. Any Tips for those going? Since I have not been I can only relay what I have been told too... so don't fore that the VIP front line pass was suggested by many readers so far. Also arrive early to take advantage of the areas open prior to the festivities rolling out into the night. Happy Haunt Season planning all..... Fall is almost here.